On Thursday, the Discover Saratoga team celebrated Global Meetings Industry Day (GMID) during MPI NENY’s Inaugural Gala at the Albany Capital Center. Meeting planners, event professionals, and convention bureaus throughout northeastern New York attended the event to support and honor industry partners and leaders. We were honored to be the awards sponsor for this event and to take part in celebrating the hard work and dedication of those in our industry being recognized! 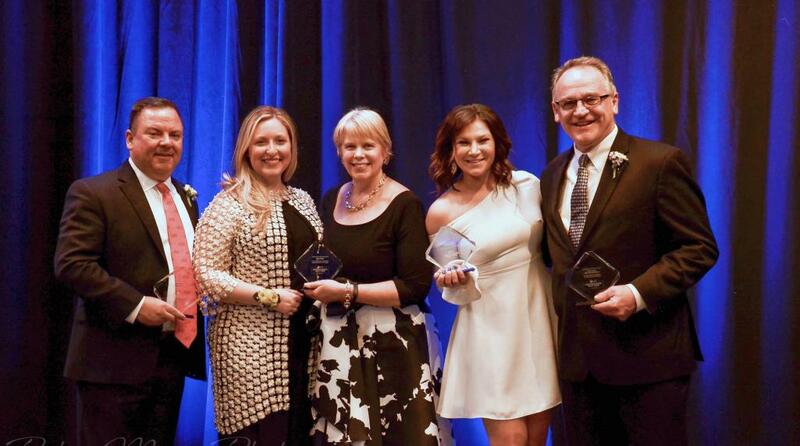 Our very own Director of Convention Services, Chloejean Tedford, took home the award for ‘Most Enthusiastic New Member.’ Chloejean joined the MPI NENY special event committee in early February. Nancy Jess, National Sales Director – Corporate and Education (Discover Saratoga), was also recognized as a ‘Volunteer of the Year’ nominee. Nancy along with Kayla Kreis, Wedding Market Manager (Discover Saratoga), serve on MPI NENY’s Board of Directors. We were also excited to congratulate our previous Discover Saratoga president, Todd Garofano, for his ‘Industry Leader’ award! Additionally, Susan Baker of the Saratoga Springs City Center was honored as the ‘Volunteer of the Year’ award winner. We are so thankful to work with such knowledgeable and supportive partners in this growing industry. The impact of meetings in Saratoga is prominent. Sales grew almost 125% with over 98,000 in contracted room nights signed in 2017 compared to just over 43,000 in 2010. Discover Saratoga serviced over 640 groups in 2017 (an increase of almost 280% from 2010 when they served just 167 groups), which accounted for nearly 100,000 room nights and $67.5m in estimated economic impact. Have you hosted or attended an event in Saratoga, NY? Tell us about your experience in the comments below!